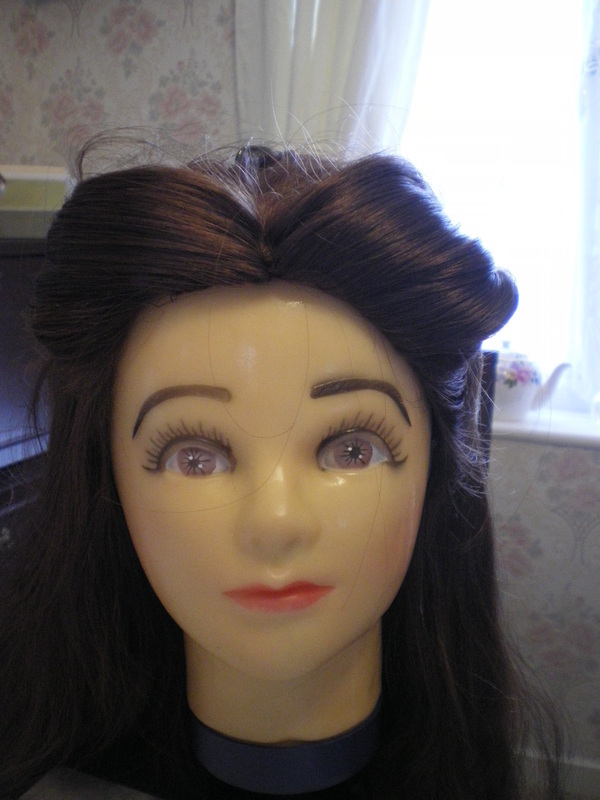 Take a portion of hair from the top and put a clip in it for now. Take a section of hair from the front, from the centre parting to half way to the ears, creating a small wave at the front. Put some hair grips in to hold it in place. 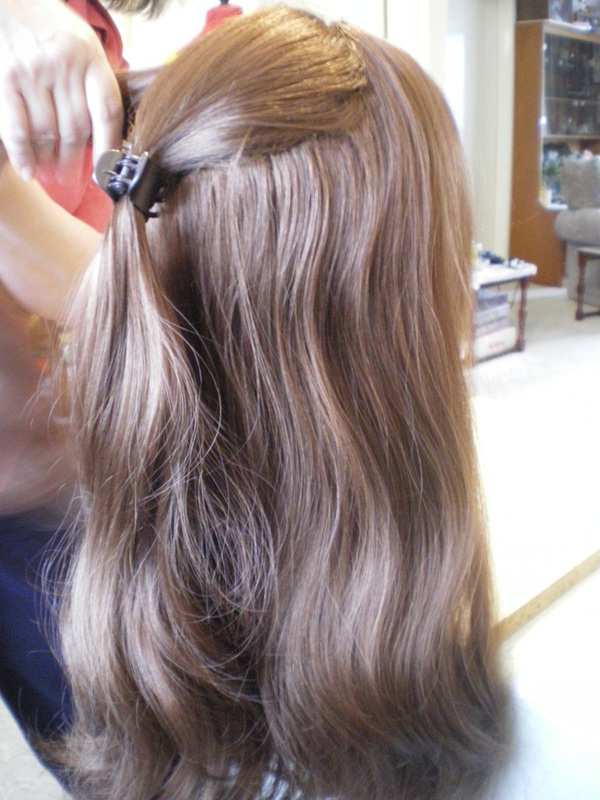 Take a section of hair down as far as the ear and pull it over the first piece, use grips or a clip to hold it in place while you do the same the other side. 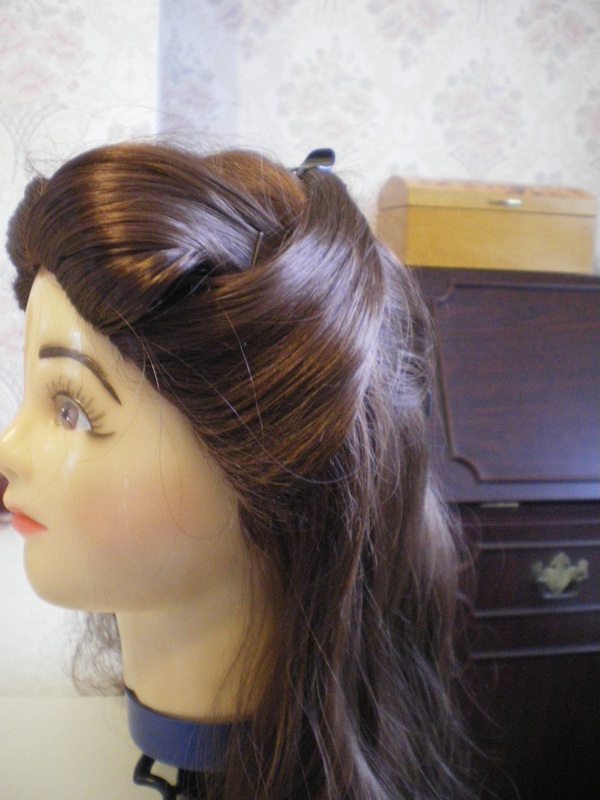 Take the original pony tail out of the clip and incorporate the side section into it. 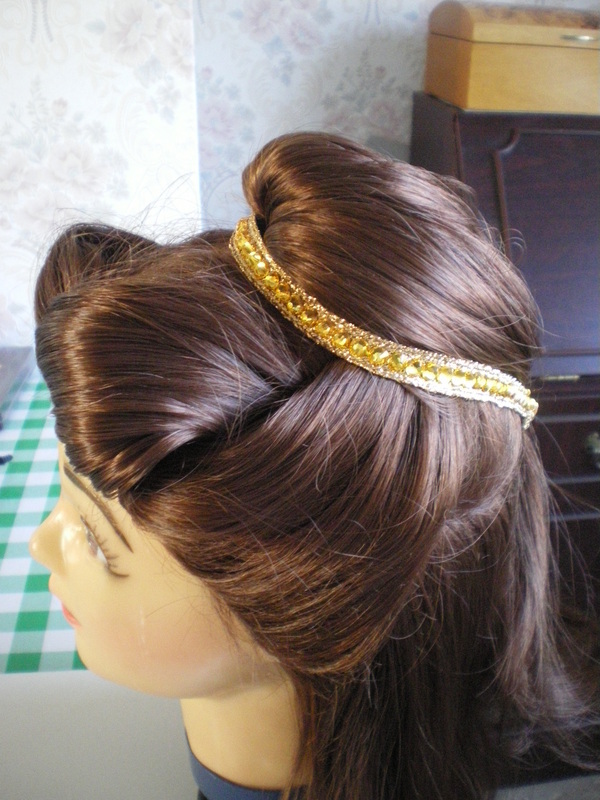 You are going to make one pony tail using the 3 sections. This needs to be quite high on the head in front of the crown. Secure the ponytail with an elastic band. 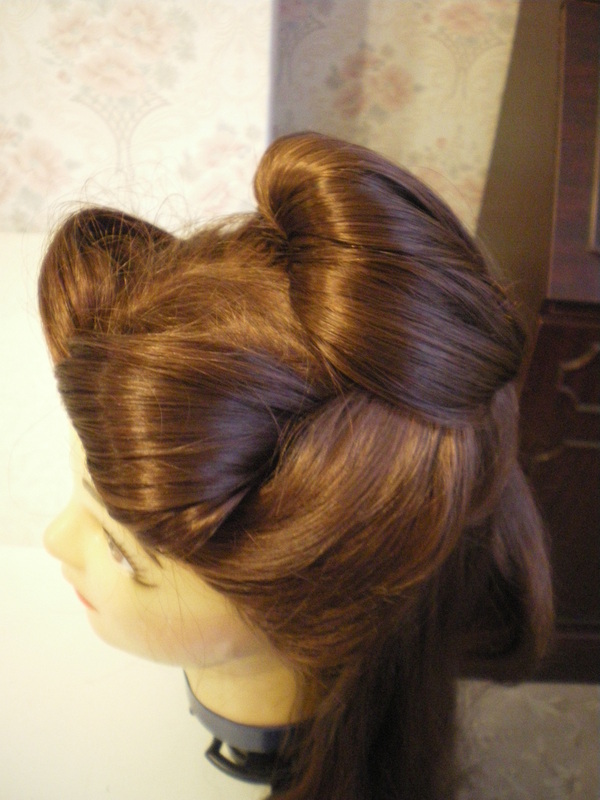 Following the instructions from this video (Youtube:Lilith Moon: Bun Hairstyles for Long Hair Tutorial) Pull the pony tail forward over the face, insert several grips into the ponytail facing backwards towards the elastic band. Take the ponytail backwards over the head again and let it drop naturally into a "bun" and secure with grips. As a practice piece, I am just using ribbon. 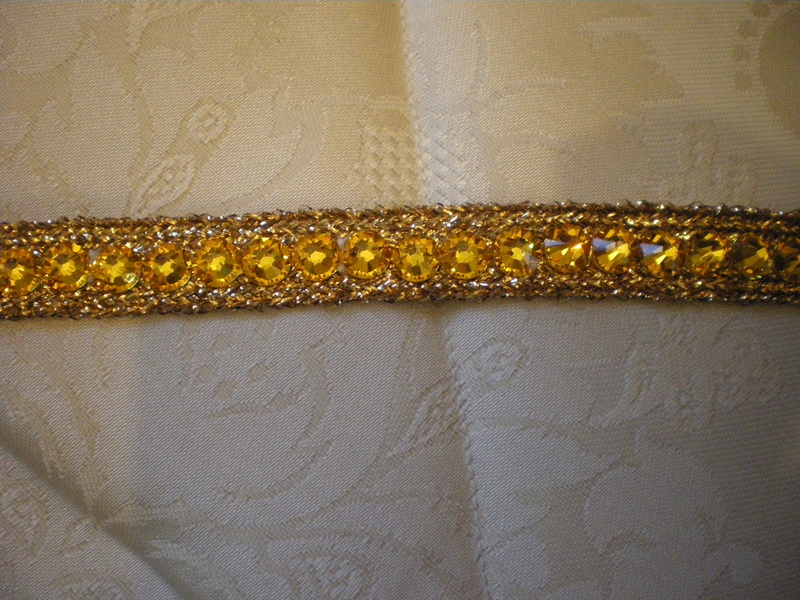 I have decided to use the same trim I used for the chiffon layer and glued on 6mm Swarovski Crystals.